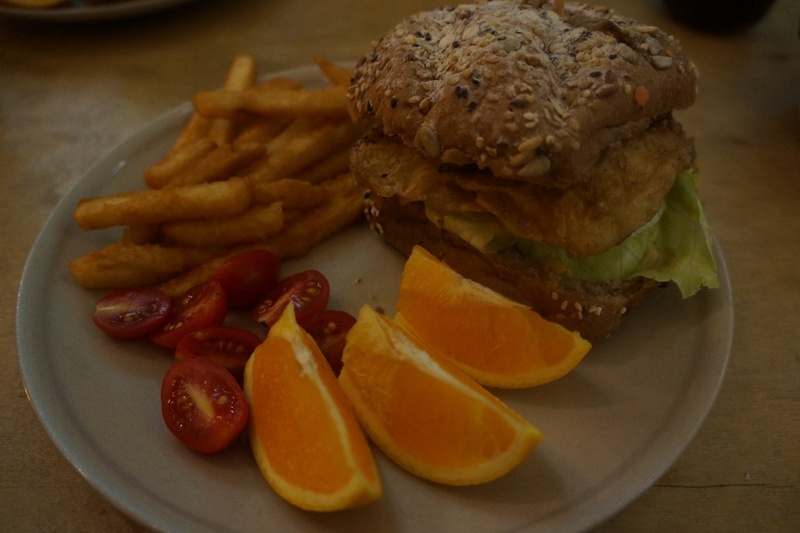 Fruit and vegetarian burgers make a great mix at About Animals 動物誌 in Taipei. To be honest, the phrase “vegetarian hamburger” doesn’t get me excited. When I think of hamburgers, I think of the biggest chunk of meat oozing with juice and slathered in barbeque sauce. About Animals 動物誌 has none of that, but it does have probably the best veggie hamburger I’ve ever had. The bread also rivals its more meatier counterparts, so it is certainly worth visiting even if it may be a bit out of your area of comfort. More info after the jump. Cupid strikes in this dessert from the vegetarian restaurant The V:F .
I’m getting more acquainted with Taipei’s vegetarian restaurants than I would have imagined. But with so much diversity and quality, even a carnivore would find something worth trying. My latest all veggie escaped led me to the oddly named The V:F 舞蔬弄果 (yes, you NEED that colon). 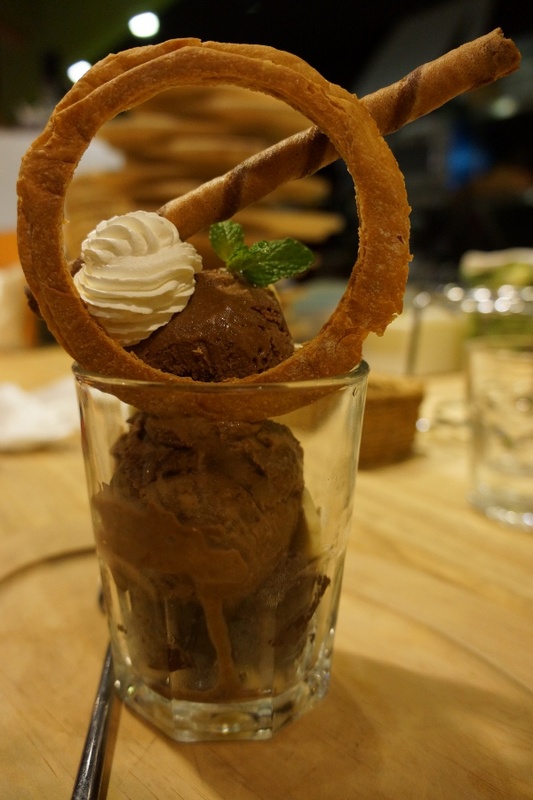 Owned by the same folks that created the much-loved Thaipanyaki, The V:F is a Western-inspired eatery where you can watch the chefs make bread from hand and most importantly, scan through their large selection of desserts. Here are some pictures from my latest visit. Dancing Chili 李雪辣嬌 shows off their celebrity patrons. 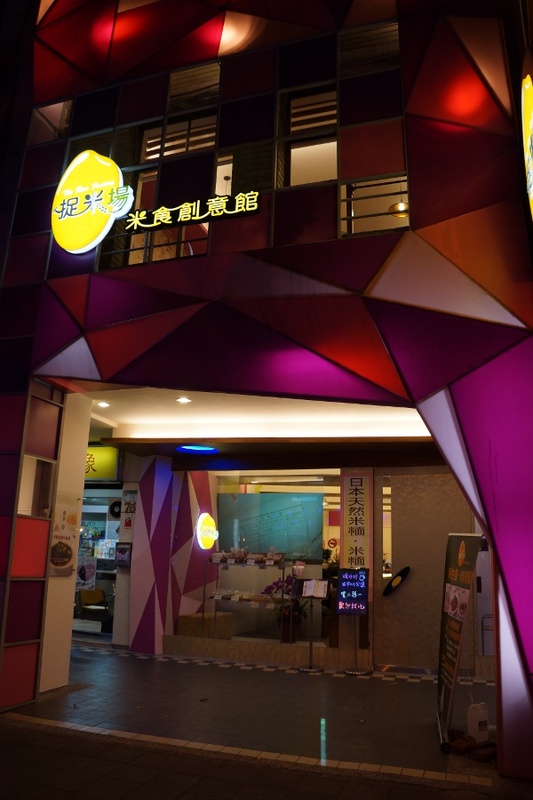 There’s no shortage of intriguing restaurants in Taipei’s ATT 4 Fun department store, but how many of them can say they have chocolate dumplings? Only Dancing Chili 李雪辣嬌 to my knowledge. Though the restaurant flaunts its spicy dishes (you can even buy some of their peppers and spices), you can also find some eclectic options like the aforementioned chocolate xiaolongbao and hedgehog-shaped buns. I take on some pork covered in fungus and see if chocolate and dumplings are a tasty alliance in my visit. Plates on top of plates on top of plates at Shui Wen. 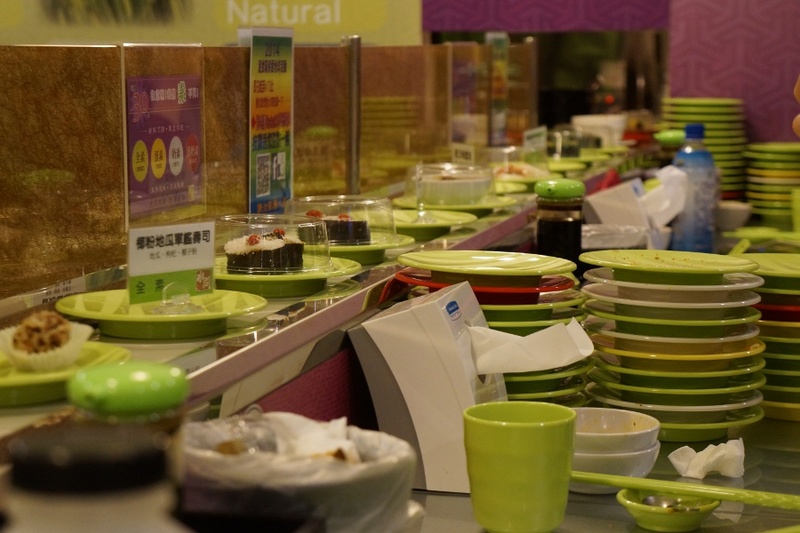 If you ever wanted to go to a conveyor belt sushi restaurant, but without all that pesky meat, then the all-vegetarian Shui Wen 水問蔬食園 in Taipei is for you. Like other conveyor belt sushi places, just grab what you want and eat! I was a bit curious to see what exactly would fill the revolving plates, and I found some interesting concoctions. Check out more info about my visit. The Rice Factory has a very trendy storefront. 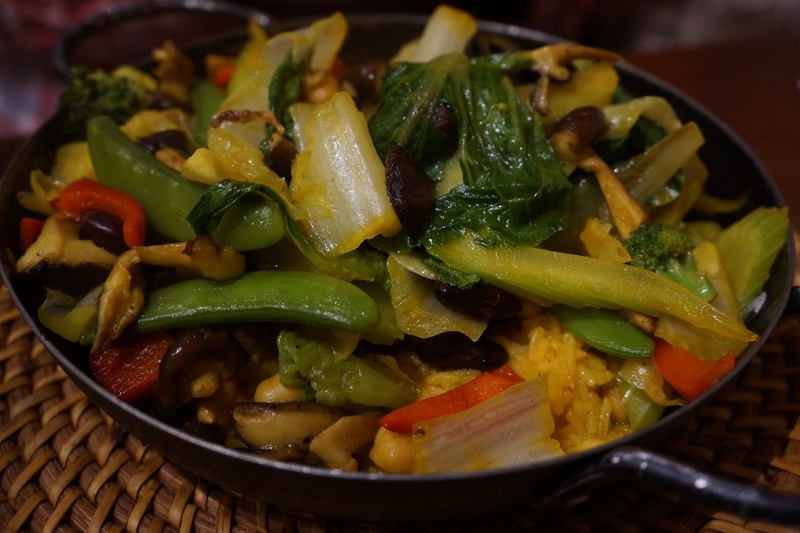 The Rice Factory 捉米場 米食創意館 is a gluten-free rice-focused restaurant near Zhongshan MRT in Taipei that focuses on everything rice. There are your expected rice dishes, all the noodles are actually rice noodles, and they even have a small bakery with rice bread. Although their menu may not be eye-catching at first, it’s a unique offering with a hip atmosphere. Check out some of my recent photos. Vegetarian Spanish risotto at Gusto. I know almost nothing of Spanish cuisine and I think I can count on one hand how many times I’ve had it, but I recently went to a Spanish restaurant in Taipei called Gusto 酷食多西班牙餐坊. 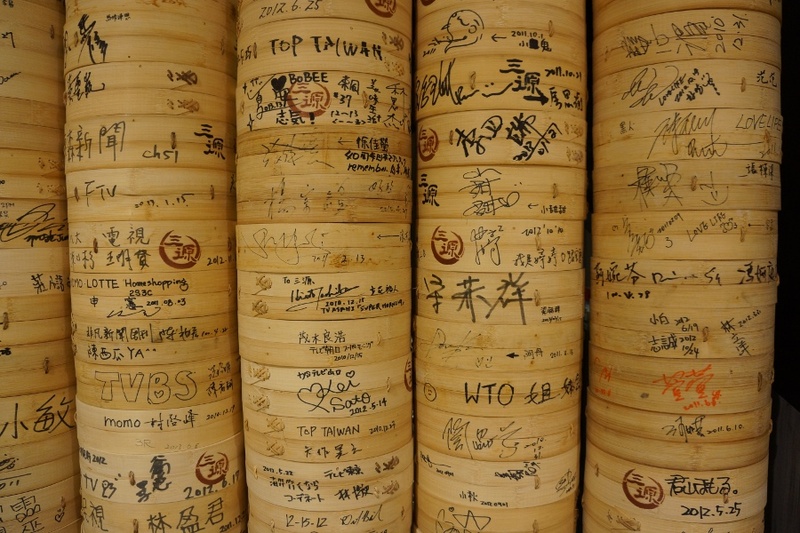 Located near the Zhongxiao Fuxing MRT, it’s easy to skip over it considering all the other choices in the area. I decided to educate myself on tapas in my recent visit. Jen Dow Vegetarian Buffet Restaurant 蓮香齋: How Much Tofu Sashimi Can You Fit on a Plate? A sample of the offerings at Jen Dow. Vegetarians get a chance to pig out at Jen Dow Vegetarian Buffet Restaurant 蓮香齋, one of the many hotel buffets you can find in Taipei. 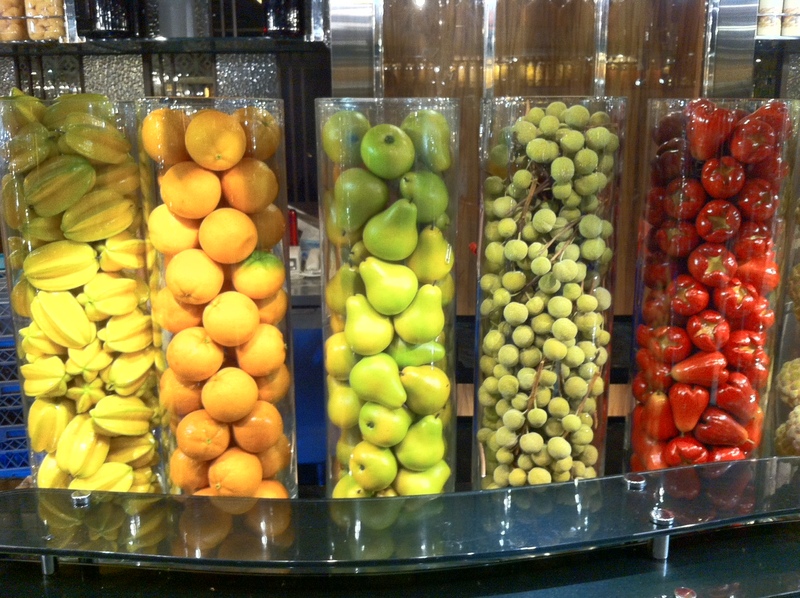 As you can guess, this differentiates itself by being an all-vegetarian buffet. Even though they cut out some parts of the food pyramid, there are over two hundred dishes to enjoy, most importantly all-you-can-eat Haagen-Dazs ice cream.